We customers hate paying fees! We especially hate when we think our plan will cost a certain amount, then realize (after it's too late!) how much it's going to cost after taxes, surcharges, and fees! The objective of this section is to take you through two basic elements. First, those charges that you, the customer will encounter in the prepaid wireless payment world. These will be the most near and dear to your heart! Second, are those that wireless carriers, technology providers, and distributors/retailers either pay or receive in the course of taking your payments. This second part greatly affects the charges you ultimately pay, and it also provides a deeper knowledge of the marketplace that you'll either find interesting, enlightening, or tremendously useful. Generally, these plan types are not subject to any customer payment/reload charges. So if you want $50 on your account, you'll pay $50 (plus sales tax depending on where you live). Essentially, you'll walk out of the store with a $50 card, electronic PIN, or real time topup. HOWEVER, there are still prepaid carriers that DO charge payment fees! So while they're not very common, they still do exist, so please watch out! Whether additional payment fees are charged varies widely between carriers. It used to be quite common for stores to charge between $1 to $5 for you to add money to your account. However, there was a pretty large backlash from customers who increasingly found it difficult to swallow why we have to pay a fee for the "pleasure" of paying our bill! While some carriers chose to mandate these charges, others leave it to the marketplace (i.e. the retailers and dealers/stores) to decide how much to charge. For example, a dealer may sell you a $10 topup for a $1 charge, while they may sell you a $50 topup for a $3 charge. Also note that some unscrupulous wireless dealers will charge fees that have nothing to do with the wireless provider; they're simply gouging customers because they can. So why the difference? And if there's no charge, how do stores make money? This is an interesting topic, and has changed over the past years as unlimited plans have rolled out. Basically, the classic "no charge" approach is based on a margin model. A good example of this is general consumer products, like Apple for example. Apple will sell a $1,000 Mac book to a store for $750, and the store will sell it to you for $1,000 (note that the actual costs here are completely made up; I have no idea how much Apple sells its Mac books for to stores!). In this example, the margin is 25% ($250/$1,000 times 100%). The same idea holds true for a $50 card, where the wireless carrier will sell it to the distributor at a discount (i.e. a margin), and the distributor will then sell it to a dealer. The dealer may then sell it to a smaller store, who will then sell it to you. Many people wonder how much these margins are. So how much does a distributor actually pay for a $50 card. Well, it depends on what the wireless carrier negotiates with the distributor. And how much the dealer buys it from the distributor for depends on what they negotiate, and so on. All I can really say is that margins tend to range from 1% to 12% or more depending on the deal, at what level you're talking about, and the size of the prepaid wireless company. But it's fair to say that the wireless replenishment business is much tighter than other industries where margins can range from 50% to 500% and more! Also keep in mind that when prepaid was in its infancy, replenishment margins were at 25%, so dealers/stores have been getting squeezed considerably as the market has grown! For unlimited plans where you're charged a convenience/service charge, typically the margin paid to stores is much lower and often zero. What this means is that the $1 or $5 fee that you pay gets shared between the store, the dealer, the distributor, and sometimes even the wireless carrier! It's definitely a volume type of business. In other words, people don't make money selling the occassional payment product like they would if they were selling designer purses. They really count on you, the customer, coming back over and over again, and they count on a LOT of customers. So, it's fair to say that the larger the wireless carrier, the lower margins and payment charges they tend to support because they can offer stores the promise of much higher volumes. 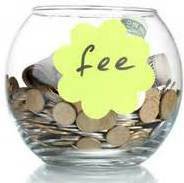 The last fee type that I haven't mentioned yet is the technology processing charge. Think about real time payments as an example. You walk into a store that has this capability and give the clerk your phone number. They input your number into a terminal or website, enter in the amount you want to add to your account, and the money magically appears on your phone. Well, the magic isn't really magic at all. There is a technology provider/vendor that's connecting the store to your wireless company in order to add the money in real time. This technoloogy vendor receives a transaction fee (and sometimes a cut of the margin or both!) for the use of their technology and "pipe." Although this example makes it sound easy, the technology partners actually offer a significantly valuable service. Afterall, they have to maintain 24x7 servers, monitor traffic, deal with problems or outages, not to mention maintain relationships with the wireless carriers and retailers. Believe you me, it's no small task. Note, however, that the money these processors receive doesn't impact you, the customer, at all. One last thing to avoid extra charges! No not stealing! There's actually a legitimate way to avoid paying additional replenishment charges for companies that still have them. Most prepaid wireless providers offer direct replenishment programs (i.e. Credit Cards, Debit Cards, Bank Account), and they typically don't charge any fees for using these payment products. So while you'll pay $3 (for example) for a $50 payment in a store, if you use your credit card, there won't be a fee. Note that this isnt' when you use your credit card in the store. This is when you go directly to your wireless provider by calling them or going to their website. The only exception here is that you may get a service charge for making a payment from your checking account (i.e. electronic check). lastly, many carriers offer incentives to get you using a credit card on monthly automatic payment (ex. $5 discount per month), so definitely keep your eyes open for these discount programs to save money.